SACRAMENTO, Calif. – California could reach net zero carbon emissions by 2050 – that’s the prediction by a panel of clean-energy experts gathered in Sacramento Monday. The panel is part of the “Right to Zero“ campaign by the environmental legal nonprofit Earthjustice. Staff attorney Paul Cort says rapid progress is being made both in technology and in public policy. The campaign is also supporting a bill that would commit the state to achieving clean energy generation by 2045, and a bill that bans the sale of fossil fuel-burning vehicles. 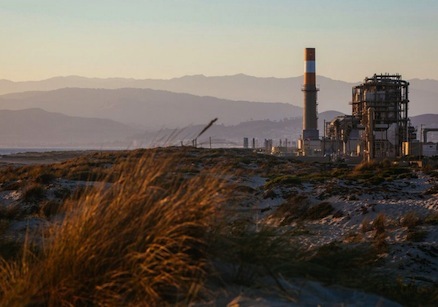 They also are fighting three natural gas-fired power plants proposed for the Golden State, because natural gas, although cleaner than coal, is still a polluting fossil fuel and puts residents at risk with methane leaks. Cort says the idea that California could move away from the combustion engine altogether, fight climate change and clear up our skies is right around the corner. Towns that are home to seaports, power plants and transportation hubs suffer some of the worst air pollution in the state – and are now reporting a surge of interest in zero-emission technology. January 29, 2018 Copyright © 2012 Eastern Group Publications, Inc.